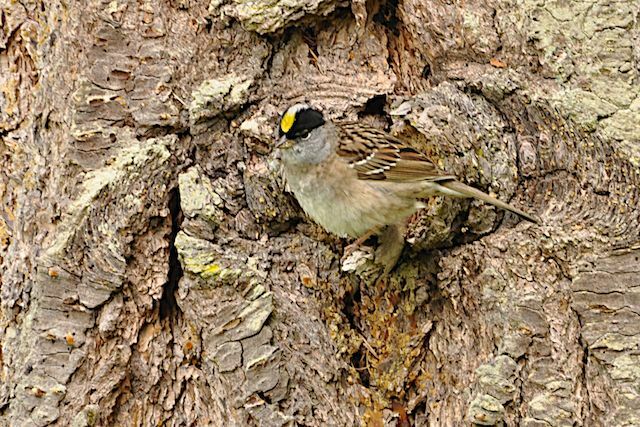 I had an amazing moment yesterday at British Camp where I just stood in one section of the trail for about 10 minutes and saw/heard more than 15 bird species. There were downy, hairy, and pileated woodpeckers. Warbling vireos, rufous hummingbirds, orange-crowned warblers, Townsend's warblers, and black-throated gray warblers. I've come across pockets of birds before - they're always exciting to see - but what made this especially amazing was that I also got three year birds there, all newly arrived spring migrants. 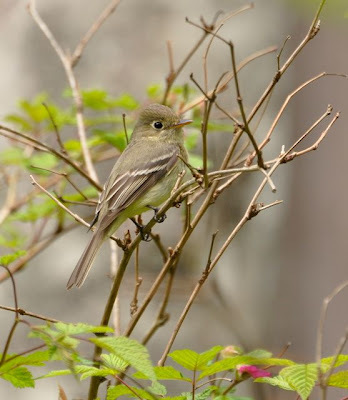 The Pacific-slope flycatchers (172) were singing, and I saw one pair chasing each other around a tree. A western tanager (173) sat amid the blossoms of one tree, while a Cassin's vireo (174) sang its questioning song from the brush. It was awesome. 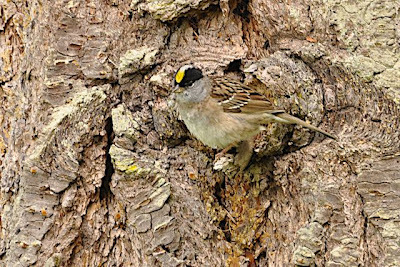 A little further up the trail I found both Pacific and house wrens, more vireos and warblers, and chestnut-backed chickadees, dark-eyed juncos, and white-crowned sparrows. I also saw a single chipping sparrow (175), my fourth year bird of the day. 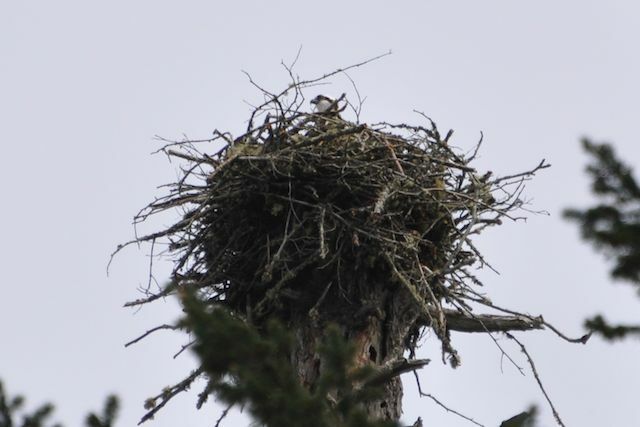 Their nest blew down over the winter, but the resident pair of osprey at British Camp returned and rebuilt it, and when I went by one of them was sitting on the nest (you can just see its head in the middle). I saw the second one fly in with a fish a little later on. I ended up finding 33 species during my hour at British Camp - not bad! Next up, I'll be turning my attention (and my camera lens) towards wildflowers - I hope the weather cooperates! PS those foxes were just too cute for words. Dave - I can't believe it either! I wonder how close we'll be at the year's end? Warren - Yes, it is!